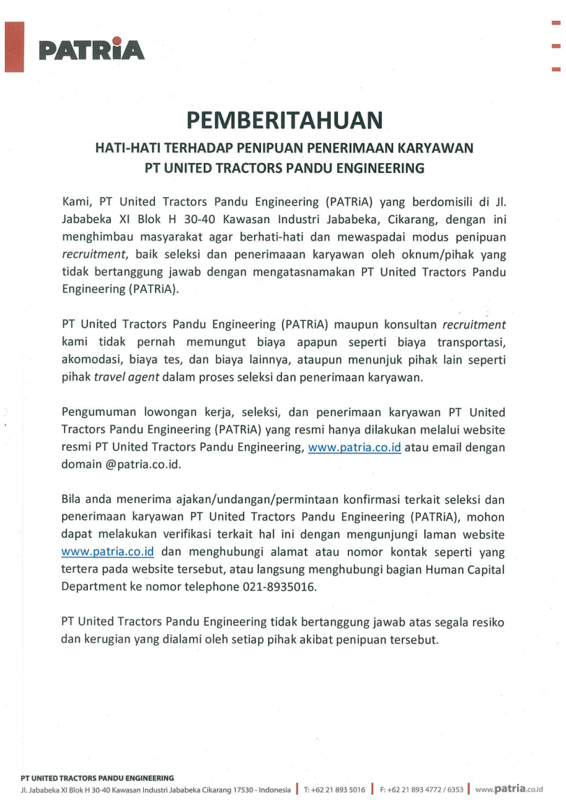 PT United Tractors Pandu Engineering through its brand, PATRiA, is one of Indonesia's leading company in heavy equipment manufacturing & engineering. 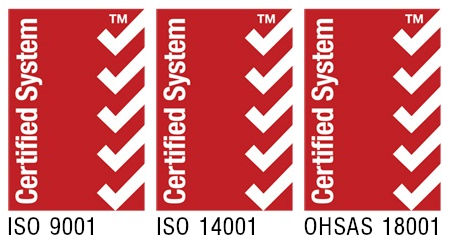 We provide solutions based on customer's specific needs. Equipped with the latest technology on manufacturing system and our qualified engineers, PATRiA strive to deliver solution for faster, more efficient and reliable productivity completed with excellent after sales services. Employee is our greatest asset. We invite you to join us and be part of our future talents. Please check available opportunities below that suit you. "WA_Position applied_Your Name" (Example : WA_BC_Tommy Wibowo).